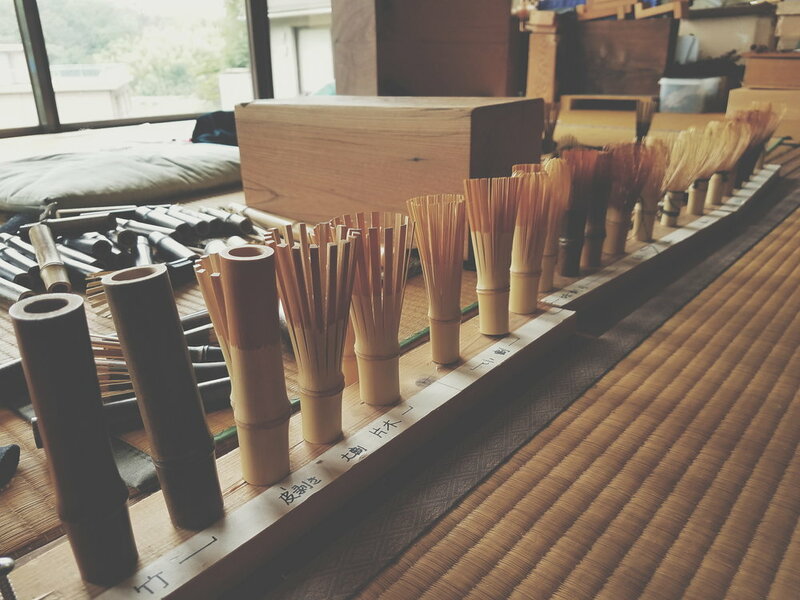 This time I wish to write about chasen (bamboo whisk). I believe this is one tool that cannot be omitted in preparing matcha, even if you are only preparing it casually at home. Last time in Japan, J and I went to Ikoma-shi in Nara prefecture to visit Tanimura Tango 20th generation chasen master. He is one of the most respected people that I have met in my life. I have known him through his works and website as a very famous person, making chasen for grand masters for two main tea schools (urasenke and mushanokojisenke). On the way to his house and working station, I felt very nervous but excited to finally meet him in person. He was very down to earth, very kind, very patient. He showed us around his working area, the tools he used, the different types of bamboo, before he demonstrated each steps of chasen making to us. J and I watched carefully and we were so overwhelmed by the professional skills and concentration of him. We were able to learn the last stage of tieing the string around the prongs, as easy as it might sound, it took me quite some time to finally finish my chasen. I think J finished before me (and he keeps making jokes now that he he is the 21st generation haha!). We talked a lot, made matcha with our chasen and played with azuki, the super cute toy poodle. Next time when we go back, we hope to make a trip to visit him again! 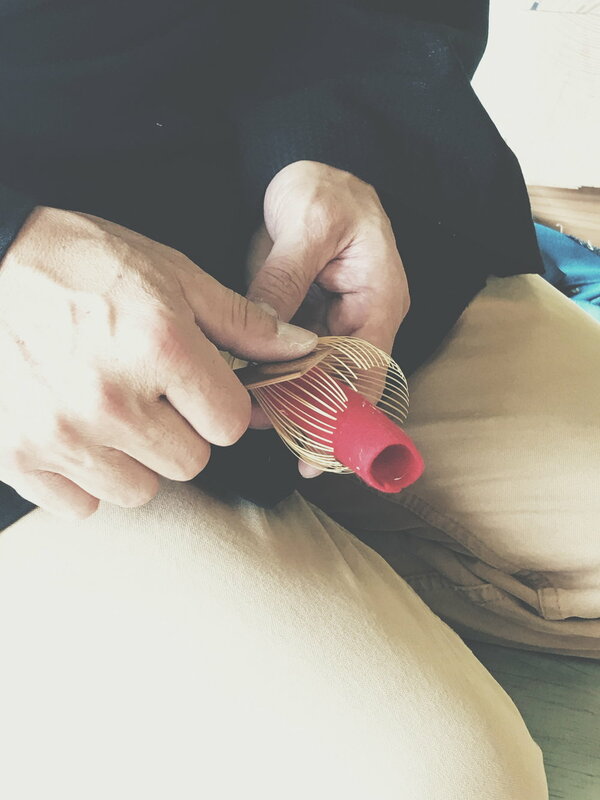 And hopefully to learn about chashaku making (chashaku is bamboo scoop). Because of the long process and concentration, there are only around 15 families for making chasen. Sometimes you will see a much cheaper chasen which is very likely to be made/shaped by machine. I would suggest to support the beautiful craftmanship of chasen and purchase a handcrafted one instead of a cheap one shaped by machine. 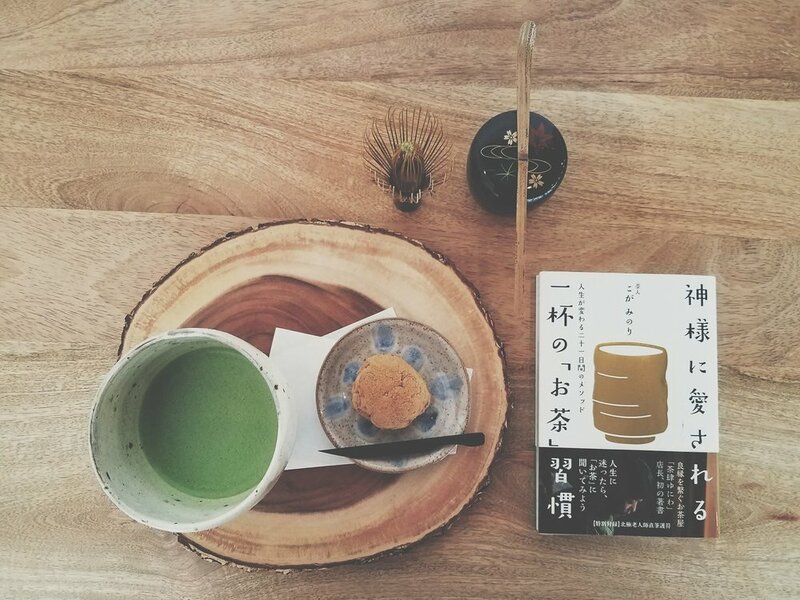 If you are interested in matcha, it is something you could consider investing in. Even though it may be expensive to buy, if you take care of it properly, it will last for quite a long time (I mean for personal use). To prepare beautiful matcha, a beautiful chasen is required. I hope you will treasure very much this beautiful tool, like I do with mine.